Charlotte Lou Buchanan, 82, of Charlestown, IN passed away on Wednesday, November 28, 2018 at Hillcrest Village in Jeffersonville, IN. Charlotte was born on September 2, 1936 in Gregory, KY to Woodrow and Quintas Patterson Kendrick. 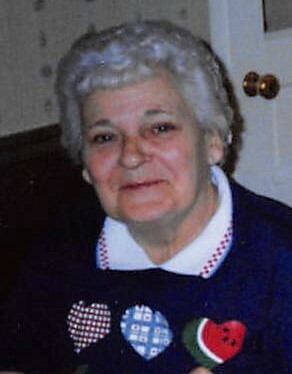 She enjoyed shopping, cooking, and enjoyed taking care of her house and family. Survivors include her daughters, Debbie Barlow of Marysville, IN, Karen Hostetler of Charlestown, IN; son, Joe Prather (Gail) of Jeffersonville, IN; sister, Bettie Meredith of Charlestown, IN; grandchildren, Ashley Walton (Jason) of Louisville, KY and Kim Fain (Doug) of Carrolton, KY; one great grandchild, Korbin. Preceded in death by her parents, husband, Henry Edward Buchanan in 2017; brother, Bill Kendrick; sister, Effie Fields. Funeral Services will be held on Friday, November 30, 2018 at 1:00 pm at Grayson Funeral Home in Charlestown with burial in Charlestown Cemetery. Visitation will be held on Friday from 10:30 am to 1:00 pm.